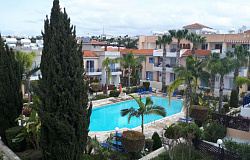 Welcome to ABC Cyprus Homes real estate listings Paphos and Limassol website. 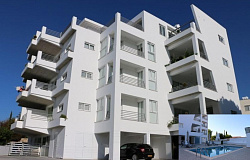 We are a fully registered and licensed Cyprus Real Estate agency with our head office in Paphos and branch in Nicosia. Member of Cyprus Real Estate Agents Association. ABC Cyprus Homes offers you the best investment opportunities and the widest range of new and resale homes for sale in Cyprus, villas, apartments in Paphos, Polis, Limassol with varieties of properties to fit every budget and desire. We have perfect selection of flats, penthouses, detached and terraced houses, bungalows, budget and luxury villas. Our Cyprus Real Estate Agency always on the lookout for properties in Cyprus that are situated in the unique settings and exclusive properties of high quality standards and the best property bargains in Cyprus. 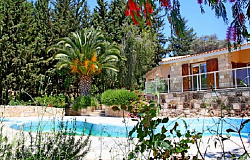 Which type of Cyprus property you may be looking to buy? Let us know and we will find it for you. 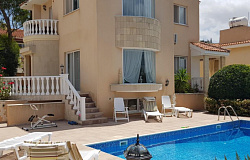 Our website is updated regularly ensuring that our listing of Cyprus properties is as up to date as quickly as possible. If you cannot find that house, apartment or villa of your dreams on our website, please contact us with your requirements and we will endeavor to find it for you. We are Experts in listing, pricing, negotiating and selling your home to the right buyer quickly* Our contract with you is non-exclusive * We have numerous ready to buy International clients with various requests directly and from associate offices in Russia. 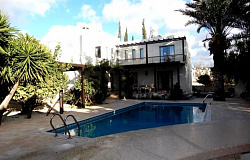 "ABC Cyprus Homes"- Cyprus Properties for sale and resale- homes in Paphos, and Limassol, apartments, houses, townhouses, villas for sale- Registered Cyprus Real Estate Agency ABC Dolorou Cyprus Homes Ltd in Paphos and Nicosia, Property for sale in Paphos, villas for sale in Coral Bay, Cyprus, homes for sale Paphos, Resale properties Paphos,sale house resale, houses for sale Paphos, villas in Paphos for sale, Apartments for sale in Paphos, Homes to buy in Paphos, Bungalow in Paphos Cyprus for sale, Townhouses for sale in Paphos, Paphos properties for sale, property for sale Paphos, villa for sale Paphos, property for sale Coral Bay Cyprus, sell property in Paphos, houses for sale Paphos area, Luxury villa for sale Paphos, buy villa Paphos, buy property Paphos, property resales Paphos, Cyprus, peyia villas for sale, Paphos property agents, real estate agency in Paphos, estate agents Paphos area, registered estate agents Paphos .